This article gives you a few tools that you can use to regain ownership of your health, your body and your mind. 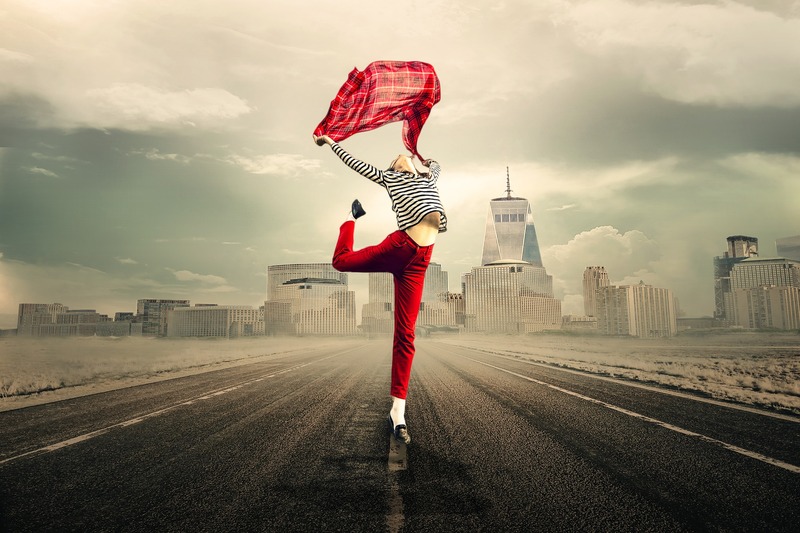 The tools are self-directed, meaning you do not need a practitioner to access or use them, and you can access them as often as you want or need. Raymond Francis: there is only one disease (malfunctioning cells), only two causes of disease (deficiency and toxicity), and six pathways to health and disease (nutrition, toxins, psychological, physical, genetic, and medical). Dr. Jerry Tennant: every cell in the body is designed to run at -20 to -25 millivolts. To heal, we must make new cells. To make a new cell requires -50 millivolts. Chronic disease occurs when voltage drops below -20 and/or you cannot achieve -50 millivolts to make new cells. Thus, chronic disease is always defined by having low voltage. In “Methylation Simplified,” I wrote about the biochemistry of energy in the mitochondria of our cells. In “The Intersection of BioEnergetics and Health” I wrote about the human biofield, the extension of bioenergy beyond the skin. The tools I highlight below recognize that health is an interplay of cellular mitochondria; gut microbiota; dental heath; and the biophysics of water, light, magnetism, electrons, protons. These tools are functional health tools, not medical, because the intent is not to diagnose disease or the risk of disease, but to assess function. Medicine, by Wikipedia’s definition, is the science or practice of the diagnosis, treatment, and prevention of disease, or a drug or other preparation for the treatment or prevention of disease. Functional health is different than medicine. It is having a special activity, purpose, or task, relating to how well, and the way in which, your mind and body show up to maintain health. 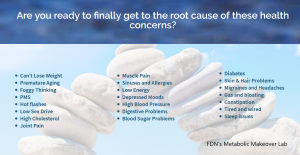 The aim of functional health is to detect and correct toxicities and borderline deficiencies. Everything, functionally, comes down to electrons and light. Light, surprisingly, is a vital energy source that is emitted by the mitochondria in our cells! It can be used to heal: an example is laser therapy used by chiropractors. Water combined with light effects metabolic function, too. How interesting is that?! The science of bioenergetics and mitochondrial genetics and function is way out ahead of conventional medicine. Most conventional allopathic health practitioners, including “functional medicine” doctors, are trained to focus on organs and disease; they do not look at the human condition holistically, acknowledging that the mind, body, spirit connection is bioenergetic as much as structural and biochemical. For health detectives, biohackers and mitochondriacs., it’s important to keep electrons and bioenergetics top of mind, especially in this age of wifi, smartphones, laptop screens, immobility, and indoor living with artificial light. Exposure to sunlight influences how well the food you eat is handled by your microbiome. In other words, inadequate sunlight is a form of malnutrition. On the toxin side of the equation, Kudzu Science is working with the Detox Project and offers a self-ordered hair test to measure pesticide and glyphosate levels. On the nutritional side, SpectraCell, one of the more respected labs in functional health, now offers self-ordered tests for micronutrients. Another test earning attention is called DUTCH (dried urine test for comprehensive hormones), but at this writing this hormone test is not available directly to the public. I hope it will be soon! In the future, it may be possible to assess other biomarkers, levels of nutrients and toxins (like glyphosate) using a hand-held or wearable device that can monitor your status throughout the day and night. Sayer Ji, speaking to Dr. Patrick Gentempo in the GMOs Revealed series, talks about a handheld device that you can use to identify toxin residues on food. Imagine walking through the grocery store, pointing at a head of organic lettuce and getting to the truth about labeling! Timing is everything. My father who is in his 80s got riled up at the bank by some bureaucracy over a money transfer; he then headed straight over to his doctor’s office for a checkup where they DXd him with high blood pressure. Regaining ownership of your health data means that you will have flexibility to decide when tests are done, the control over costs and frequency, and a bigger say in interpretation. Software with artificial intelligence will be at your fingertips to gauge all that influences your health and well-being: sunlight, stress, nutrition, travel, toxins, localized infection, and more. The interaction of a person’s genetics with their lifestyle, diet, and environment to create patterns of health or disease is time dependent, says Bland. The pattern for the genes stays the same. But everything else, internal and external, is in flux (including the energetics of the body and mind) and that in turns influences how those genes are expressed. The tests used in functional genomic analysis look at expression (through organic acid and other tests, and the person’s signs and symptoms). Dr. Ted Achacoso of the BioBalance Institute in the Philippines believes that the healing therapy for our children’s children will be light. There is no device, that I know of, measuring for exposure to the light spectrum: how much, how long, what kind. Nor do I know of a device to measure exposure to electro-magnetic frequencies and intracellular water: how much, how long, what kind. 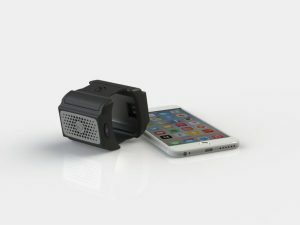 Is there a reasonably-priced thermographic imaging device that can identify infection in the teeth? I don’t know of it, not yet anyway. We really are in the infancy of health science! 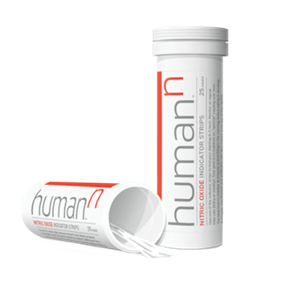 You can measure a biomarker for levels of nitric oxide with salivary test strips from HumanN. It’s a super easy self-directed health tool! Nitric oxide is critical to your health, no matter what your age. It controls and regulates most cellular functions; the cardiovascular system relies on it which means it is important for every function of your body. (N-O is implicated in all chronic high blood pressure and other conditions, and aging.) The solution to depleted nitric oxide is diet and lifestyle, no pharma intervention needed. As your own health detective, you will collect a lot of data about yourself! The data is powerful; it can be alarming and gratifying. Some of it may be entirely useless. You’ll want to keep a level head, and not give in to fear, especially when it comes to genetic testing. Do not be frightened into acting rashly … like cutting off your breasts because you have a BRCA gene variant! Naturopathy respects the body’s innate ability to heal itself. With the information you collect from these tools, you have a guide to give your body and mind what they need to function well, supporting yourself naturally with vitamins, minerals, anti-oxidants/enzymes, breathing exercises, electrical stimulators, and the like. Tools to assess environmental toxins is a big topic which I will save for a future article. Tools to measure insulin, blood pressure, weight, BMI, in the age of obesity and diabetes are commonplace, so I did not list those either. Nor did I list Viome, a company that uses “advanced technology developed for national security testing from Los Alamos Labs” to tell you what to eat based on an expensive stool test. I convinced my husband to order this test a while back, because I mistakenly thought we would receive a list of non-human DNA of microbiota (viruses, bacteria, fungi, parasites, etc) in his stool. Instead, we received a skimpy report riddled with spelling errors. I still feel bad about that expensive mistake! Finally, I did not list the DNA test, 23andMe Personal Genetic Service, as a tool. The company released version 5 of their test in 2018 (at the same price as version 4) in which they had dropped thousands of the genetic variants useful for functional genomic analysis. Once you have your data from 23andMe, you must feed it into an analytical tool like GeneticGenie; I’ve done this with my version 4 data and have seen the report which I don’t believe is fit to be a useful health tool. (I use the DNA test and analytical software from NutriGenetic Research Institute.) 23andMe has since partnered with the giant pharmaceutical company, GSK, to offer a much more expensive product, competing with other equally expensive, pharma-focused companies like Veritas Genetics. Not my tribe! As Bob Miller of NutriGenetic Research Institute says, functional genomic analysis is like playing 3D chess under water! Enzymatic (genetic) pathways are complex and they cannot be interpreted in isolation from phenotype (how the gene is expressed). As the saying goes, genes load the gun, and diet, nutrition and lifestyle pull the trigger. Genetics are a component of a much larger data set. That’s why my coaching practice uses functional genetic testing as a piece of the bigger story. Making sense of your “big data” takes time; artificial intelligence helps, as does having a holistic health coach who can spend the time with you to make sense of it. There are more tools to come, ever more sophisticated, surely, and those I’ve yet to encounter. If you know of any that you think are interesting, let me know! Joe Cohen created SelfHacked, SelfDecode and Lab Test Analyzer which I am watching closely. It’s a self-directed tool whose time has come! “SelfDecode is the world’s most comprehensive DNA-based health hacking tool to improve brain health, sleep, and reduce inflammation. So if you’re getting a genome sequencing test done, SelfDecode is the place to go to interpret your results.” SelfDecode uses the 23andMe DNA test. This online tool is fun! You enter in your standard blood markers and the tool tells you your biological (rather than your chronological) age. If you need a blood panel, see the list above of online labs where you can order your blood test.